What is the “Right” Way to Pray? Here’s a good question: What IS the right or best way to pray anyway? Most of us struggle in the area of prayer. Depending on the day or moment, we desperately hope for a tangible sense of connection with our Creator. We long for guidance and wisdom that is clearly from God and we wrestle with desires for personal intimate connection with that same Jesus the disciples knew. Obstacles seem endless. We’re busy, intimidated, impatient, confused, tired and curious but frustrated that time in prayer seems like such hard work sometimes. Perhaps you’re tired of feeling guilty or inadequate about prayer. It’s been recommended that you do it “this way” and “that way.” Some have even insisted that there is a perfect time of day to do it. And now, here I am suggesting that you should journal more?!? Well…yes, I am offering a workshop about journaling in April (two options, actually, so that you can schedule one that works best for you). But before you get carried away with assumptions that some book author who is already really comfortable with the writing process (maybe not like you) is going to teach you how to do something revolutionary yet something that will quickly fall by the wayside with so many other “should-haves” in your life—think again. 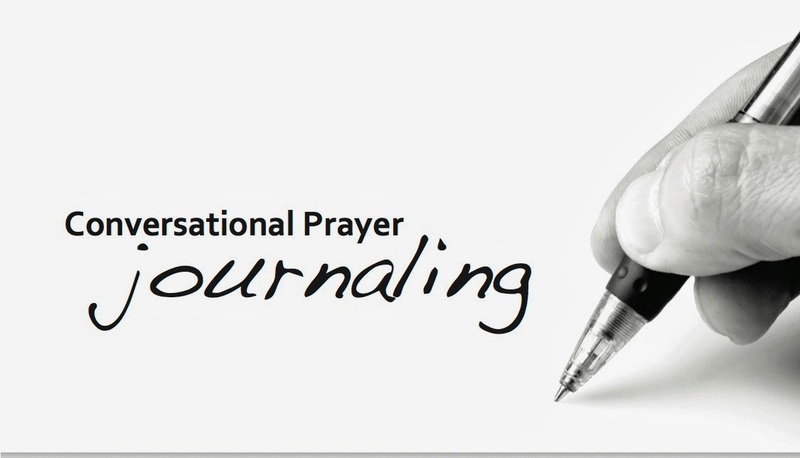 This is NOT your typical journaling or prayer workshop! Think of it more like a 2-hour renewal event. I’m going to get really personal with you. More importantly, God Himself is going to get really personal with you. What happens at this workshop is likely to surprise you. Between laughter, conversation, maybe a few tears, some quiet…and yes, just a little bit of writing…You’ll make some life and relationship-shifting discoveries. Whether you’ve never journaled before (maybe even despise it) or have done it for a long time, this event promises to reveal new ideas and perspectives that you’ll wonder how you lived without. You will learn the “right” way to journal—because, yes, there actually is a “right” way to pray. And, if you’re not satisfied, you can have ALL of your money back. But, you ask, aren’t there as many methods, techniques and manners for praying as there are temperaments, passions and giftings? Good question! And here’s an even better one: What if God didn’t care so much how you come but that you come? Have I whet your appetite yet? I hope so because I know this really could be a moment in time that sets you on a whole new course in your conversations with God! What better way to celebrate the Easter season than to discover afresh —or maybe for the very first time— your intimate connection with the resurrected Jesus! Visit Eventbrite for information and tickets.